Our friends Paralee and Aaron got married last week in one of the coolest wedding ceremonies we’ve had the privilege of attending. They literally got married on a mountain, inviting their guests to ride the ski lift at Arapahoe Basin, Colorado to the ceremony at the mountain lodge. For the procession, everyone watched as Paralee and her father rode the ski lift to the top and then walked down the aisle. They served keg after keg of Aaron’s homebrew at the reception, along with Elk medallions and squash bisque. It was super cool. For such a unique couple, we wanted to give them a gift that was also unique. 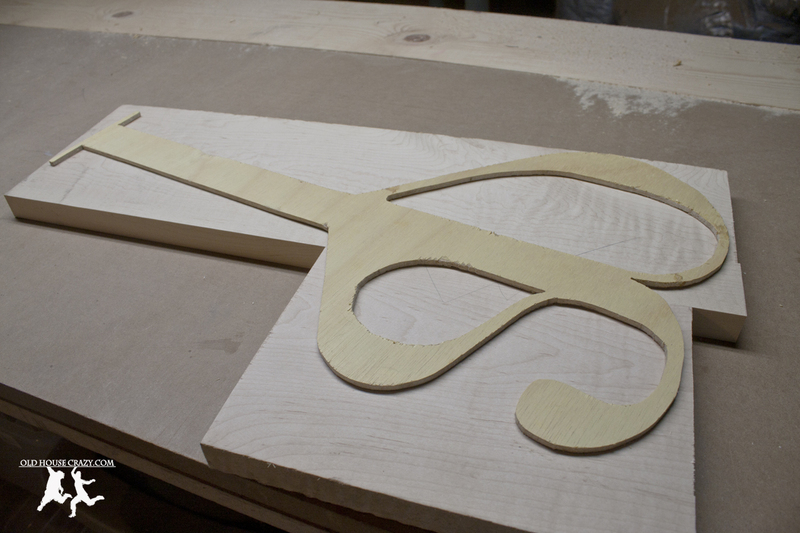 Since I’ve been playing around with woodworking over the last six months, I had the idea that maybe I could cut their wedding insignia out of some fancy wood. Go. 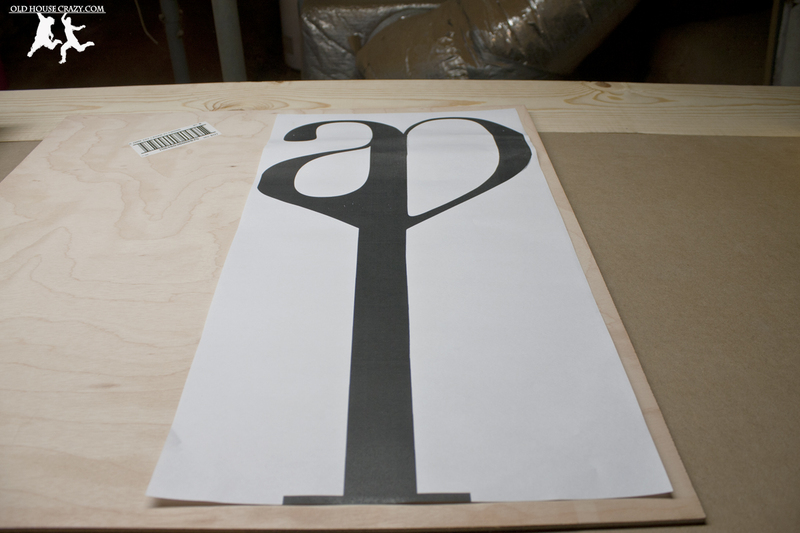 Making the template out of 1/4″ plywood, a printout of the image, and double sided tape. In order to begin, I asked Paralee to send me the large format image file of the insignia via email. I wanted the gift to be mostly a surprise, but couldn’t get started without the actual file. I told her it was for a homemade gift and hope she forgot about it until the wedding. After I’d gotten the file, I went to Fedex Office (RIP Kinkos) and had them print the file at 24″ x 12″ on a big sheet of paper. Combined with the double sided tape I purchased, I spent about 10 bucks there. 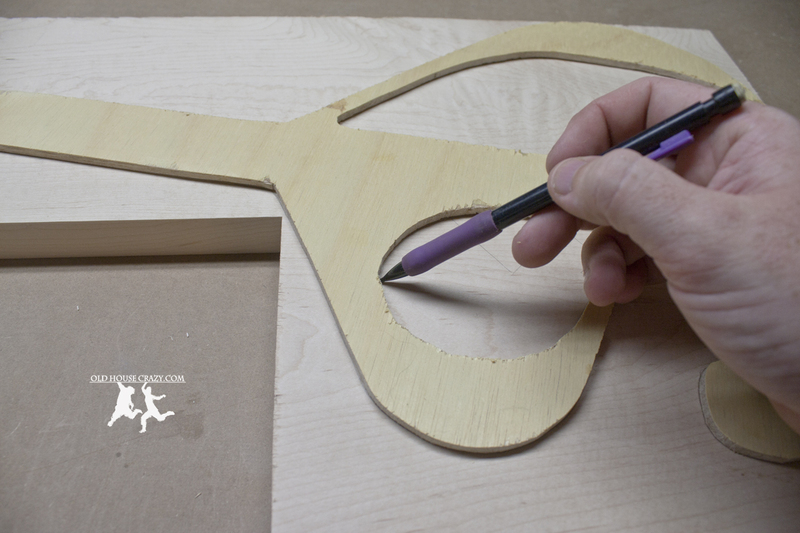 Using the double sided tape, I attached the paper to a 1/4″ thick piece of plywood and cut the outline with an exacto knife, leaving a thin groove in the shape of the insignia. For the actual gift insignia, I wanted a wood that was beautiful by itself, so I made a trip to Rockler in Sandy Springs. The guys there helped me choose Curly Maple for the project because of its unique wood grain. If you look in the photos, you can see that the wood looks like it is rippled, almost like waves on the surface of a puddle. The wood is actually perfectly smooth. Very cool. 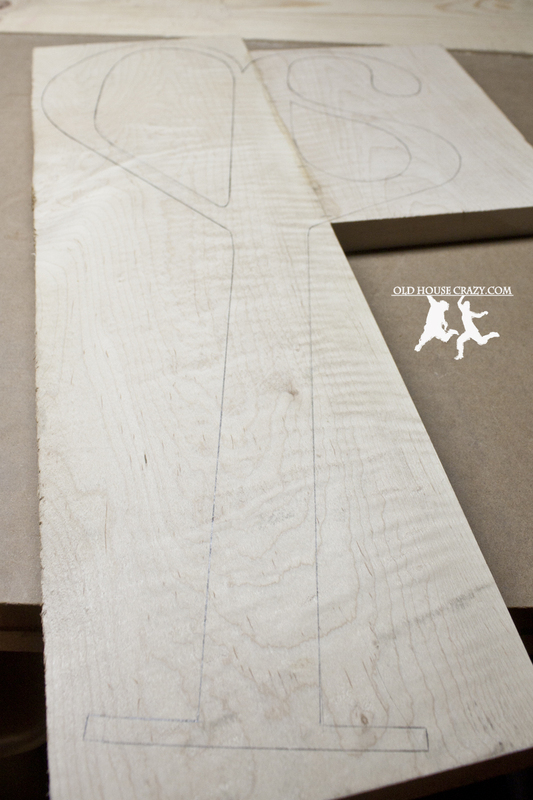 The seven foot board cost about thirty bucks and I’m using the scrap to make two bread boards (posts coming soon). A major problem I ran into was the fact that the insignia was 12 inches wide, but the widest board I could find was 7 inches wide. In order to complete the project, I needed to join two sections of the board. I cut two lengths of board, 24″ and 10″ and positioned them side by side to accommodate the insignia, as seen in the photo above. 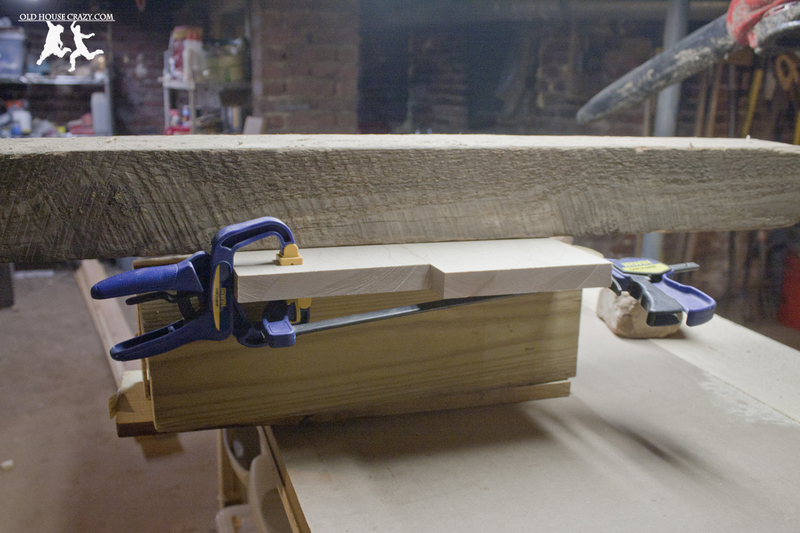 Now, the boards weren’t perfectly flat-sided when I bought them, so Don over at Out Yonder Studios used his jointer to smooth the edges perfectly flat. Once the boards were perfectly flush, I traced the design of the insignia onto the boards with a pencil. It fit very nicely. 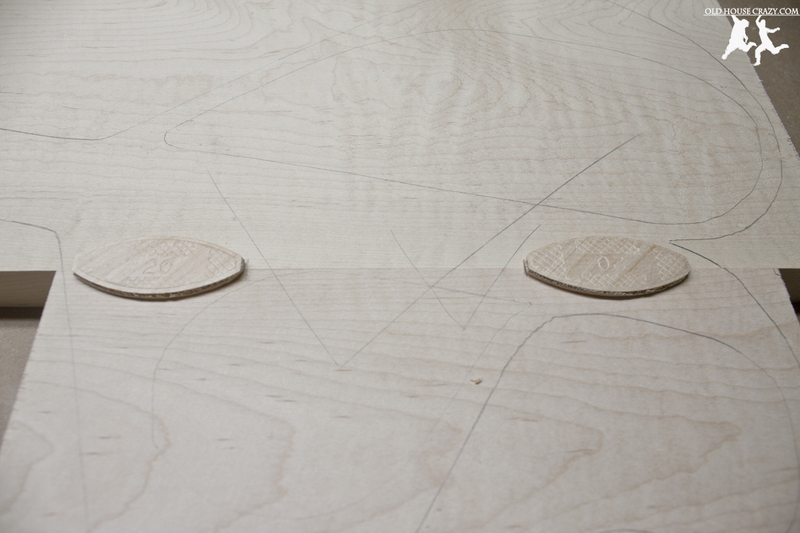 For the actual joinery, I used two biscuits, cut into the thickest parts of the insignia. You can see in the photo above how the biscuits will just barely fit inside the design. That’s cool, just so long as I don’t fudge the cuts. I spread glue into the biscuit slots and along both surfaces, then clamped them tightly and placed some heavy boards above and below to make sure the boards would dry flat. 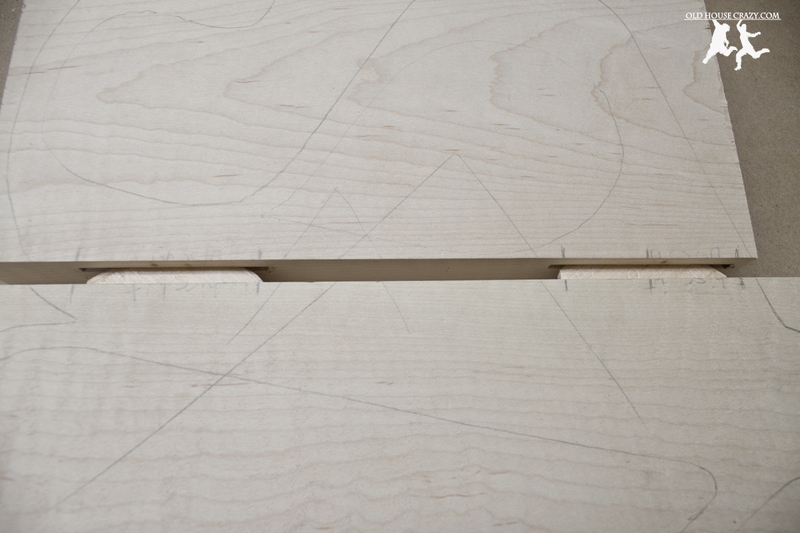 You can see in the photo above where the boards are glued together in the design. After sanding, the glue line vanished. 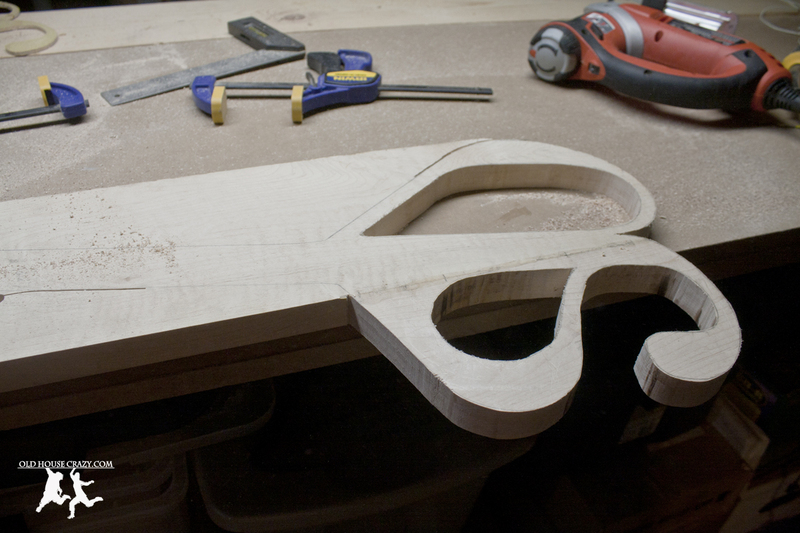 I had originally planned to cut the design out using the template and the router, but decided in the end to use the jigsaw. I’d been using the jigsaw on a couple of other projects and my confidence level was up. I would not recommend using a jigsaw on something precise like this unless you’ve had some practice on several other projects. 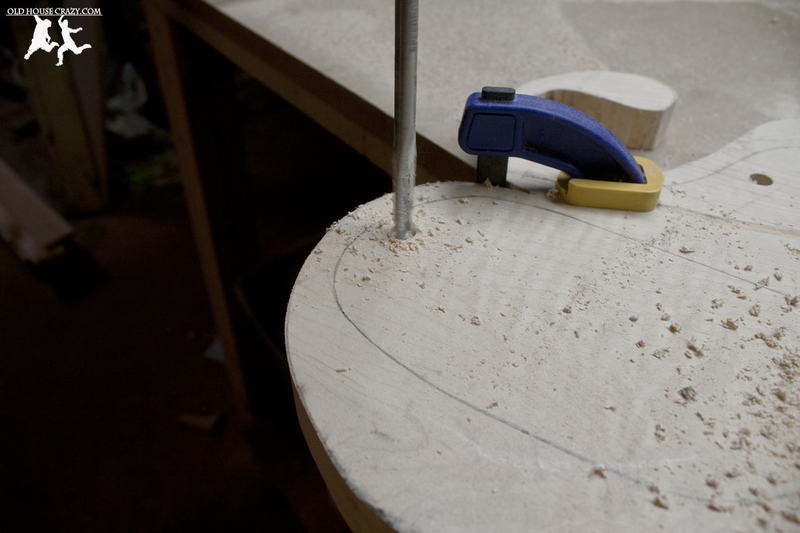 Even with my increased confidence, I still had to use the rasp and sander to reshape several mistakes. 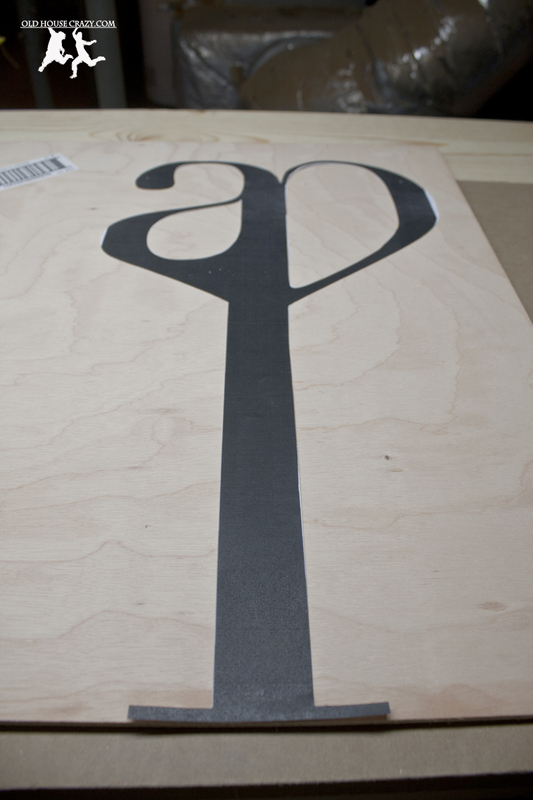 In order to cut out the inside of the letters, I drilled a 1/2″ hole first. 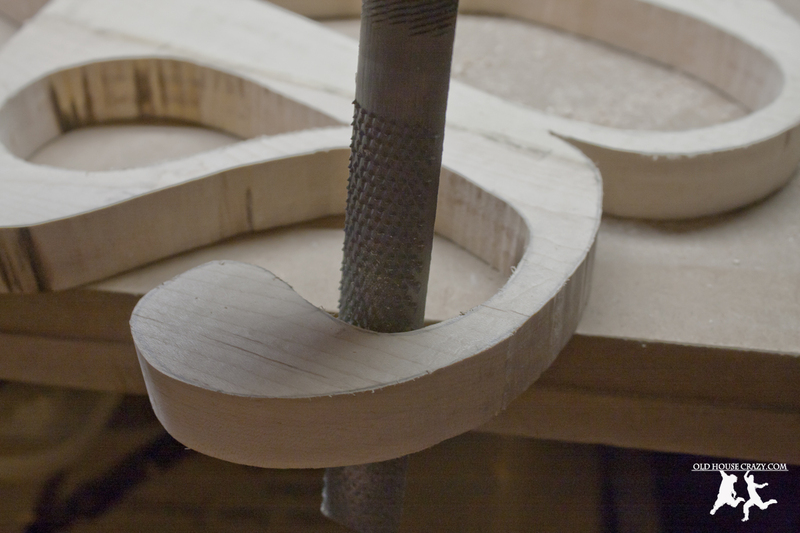 I used a shoe rasp to round out the curves nicely and to clean up my blunders with the jigsaw. The shoe rasp worked really nicely for this, as seen in the photo above. 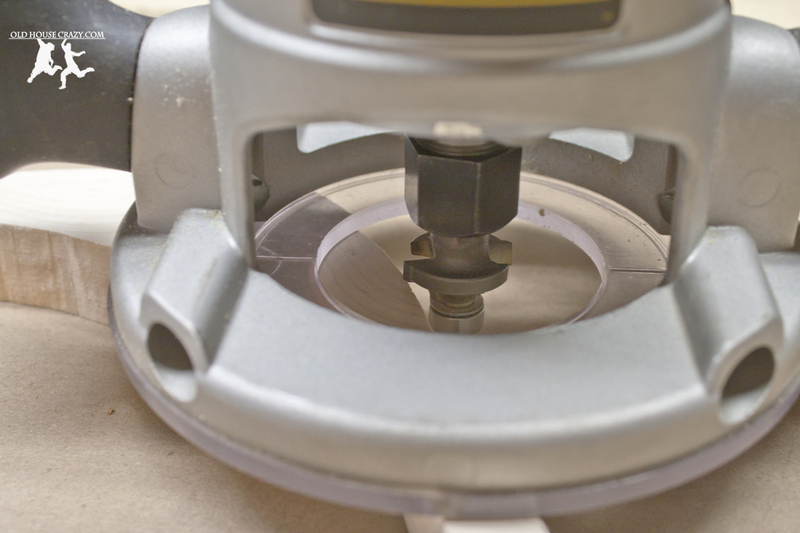 The final step was to round over the edges using my router and a 1/4″ round over bit. So my major blunder of this project was that I didn’t take any photos of the finished product. After rounding over, I sanded like crazy and applied a single coat of polyurethane to the top, stuffed it in my suitcase, and flew to Colorado. 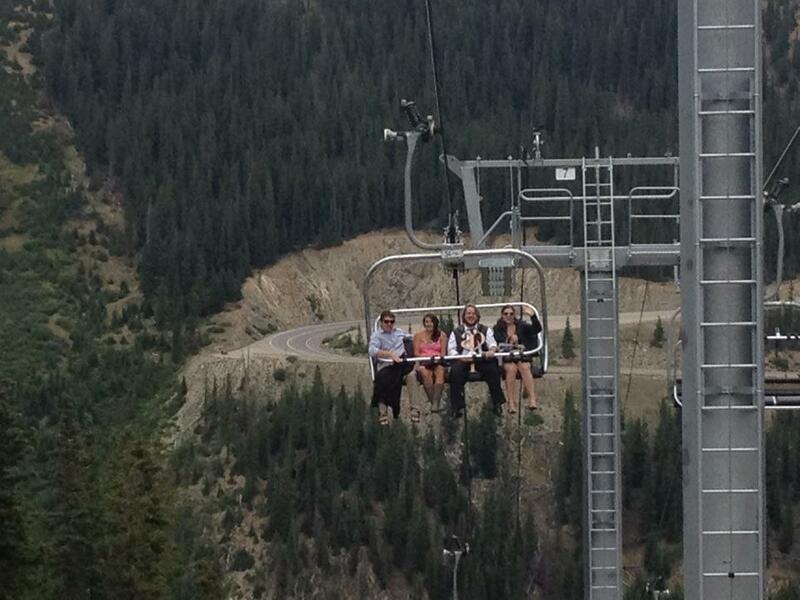 The photo below was taken by our friend Jeanne during the ski lift ride to the wedding. You can see me holding the finished insignia in my lap with a death grip. It was my first ever ride on a ski lift and there wasn’t any soft snow below us to cushion the fall I was sure I’d have if I breathed in too heavily. Heights aren’t my favorite. This entry was posted in Better than store bought, DIY, Home made, Milestones, Tools and Techniques, Woodworking and tagged biscuit joinery, DIY, diy project, Homemade, jigsaw, tools and techniques, wedding presents, woodworking technique, woodworking techniques. Bookmark the permalink. Hello, I read your new stuff regularly. Your story-telling style is awesome, keep doing what you’re doing!